Life Between Pages: Sophie Kinsella fans in the UK: fantastic pre-order deal at Waterstones! Sophie Kinsella fans in the UK: fantastic pre-order deal at Waterstones! 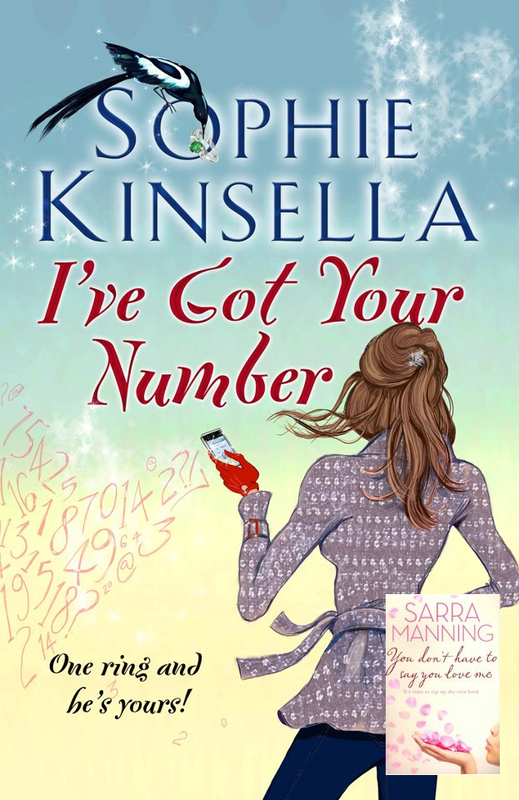 Sophie Kinsella's latest stand-alone novel, I've Got Your Number, will be released on February 16th. If you're a fan of hers and you live in the UK, make sure you head down to your local Waterstones and pre-order her new book because they have a fabulous deal on right now! Pre-order I've Got Your Number you'll get it guaranteed at half price for £9.49, and you can take home a totally free copy of You Don't Have to Say You Love Me by Sarra Manning, too! If you're unsure, though, if it's worth pre-ordering I've Got Your Number (maybe you wonder if you'll like the story, etc), they have a free sample booklet of the first chapter available, too. I pre-ordered today mine, and I only had to pay a £3 deposit (I'll pay the rest when I pick up my copy in February). Another bonus is that the final price is even cheaper than it is at Amazon! Anyway, I just wanted to let you guys know, since I think it's a fantastic deal. So excited to read more from Sophie Kinsella!